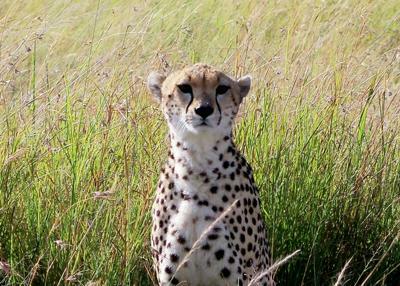 More pics from the Masai Mara. 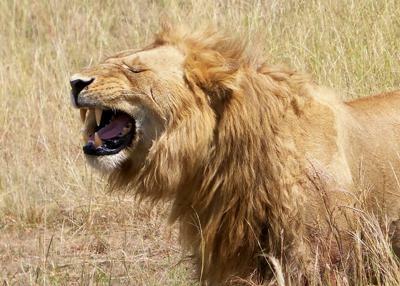 The battle scarred lion was with his mate and we had to wait a long time for him to do anything but sleep. He finally felt a bit, well, amorous and afterward showed his opinion of his prowess while his girl rolled around on her back. The cheetah was with three cubs that were impossible to get a good picture of, being hidden in the long grass as they were, but Mom would poke her head up once in a while to look for threats. She finally rose up enough to get some good shots. We didn't stick around long after that, not wanting to make her more nervous about her babies. These are amazing photos. I admire your guts. It would be an amazing experience to go for such adventurous trips to shoot such exceptional photographs. I think most of the people envy the life of a wild life photographer. www.goldenagecheese.com !! I am wating for my girlfriend to roll around in the grass on her back. Maybe next week, month or year.